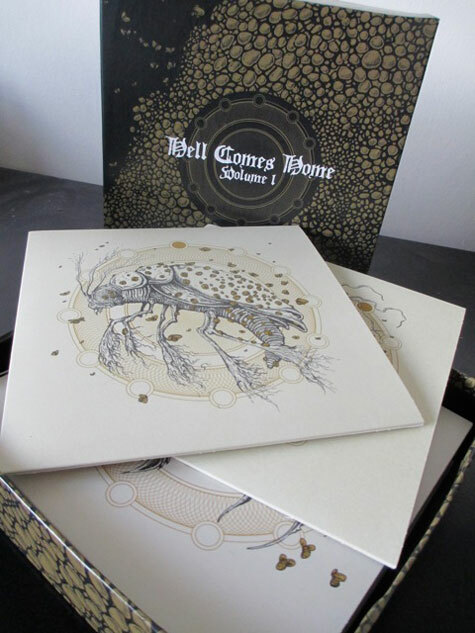 Record Store Day Special Offer @ Hell Comes Home. Hell Comes Home, the excellent Irish label which has released our split-7″EP with Great Falls as a part of their split series volume 1, has two great offers in order to celebrate the Record Store day. I don’t have any new or exclusive releases to offer for this year’s Record Store Day, but this shouldn’t hold us back from celebrating. So I’m more than happy to offer a 20% discount for all purchases in the online shop. This offer starts now and will last until the week-end is over. This is your chance to get a good deal on the Volume 1 Boxset. While I am at it I thought I may as well throw in a free download of the whole Volume 1 box set. That’s 24 bands, 24 songs of some the best loud and heavy music out there (according to me). This offer will take place from now on until the week-end is over or the free downloads limit has been reached. Please, feel free to let your friends know. The more, the merrier! This entry was posted on April 19, 2013 by dephosphorus. It was filed under Hell Comes Home, Hell Comes Home Subscription Club and was tagged with box set, great falls, hell comes home, playing enemy, seven inch, split, split-7".